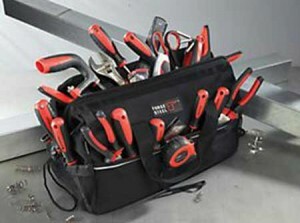 Here at DIY Doctor we wanted to give you some tools in your toolbox to make sure you get the best experience when employing a workman for Home Improvement. 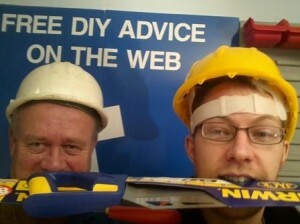 So how can we help you make sure you get good tradesmen? We scratched our manly chins and came up with some things you can to employ reliable, honest, professional builders, when you’re hiring workmen for jobs around your home. Make use of our free Desired Outcome Building Contract. It has easy to read guidance notes, it is all written in clear English, and it’s all designed to be really easy to use. Use the basic package of Price Doctor for free. This is a great bit of software if you are planning an extension. Check your builder’s quotes or plan your own work – find more on the Price Doctor page. Finally, we have a Third Party Payment scheme which agrees a series of payment instalments for building work, which are set for when sections of the job are finished. You agree these before the work even starts, so well in advance of any potential disputes with your builders. Never, ever buy goods or services from a salesman selling door-to-door salesman. Not tarmac and not insulation, solar panels or wind turbines. If you think you might qualify for a government grant or initiative then do your own research – speak to the council or look at government and other independent websites online. We recommend BeEnergySmart for up to date information on Government initiatives – but then we would as it’s our sister site. You can also post your questions in our forum section which has thousands of visitors a week and loads of users are willing to share their experiences, give recommendations or comment on a supplier you are thinking of using. Don’t forget that the Checkatrade builders in our Find a Tradesman Section are insured, qualified and registered tradesmen – they are also rated by people like you. Where we use gender-specific terms like tradesmen, workman etc we fully endorse the female equivalent – we are just too lazy to keep typing tradesman/woman – we hope you understand. Speaking of GAMI would you Get A Man In if he looked like this?